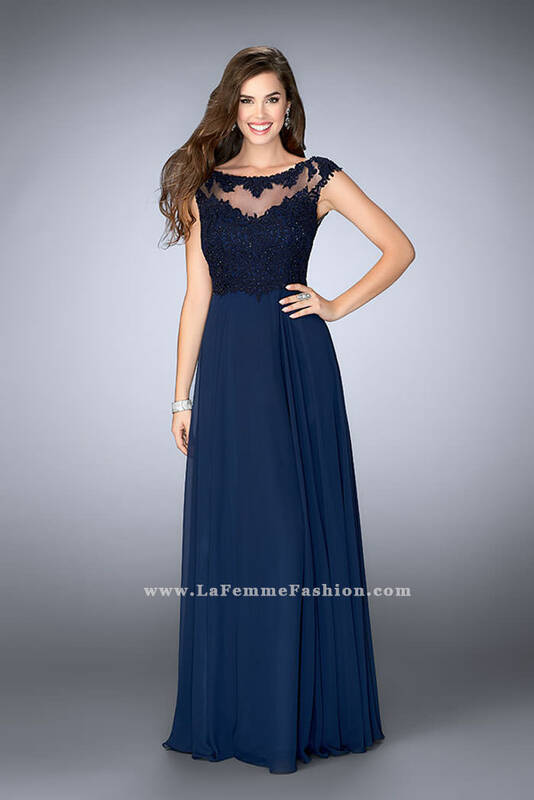 Charming chiffon dress with a lace top and illusion neckline. Features small cap sleeves and a sheer back. Back zipper closure.